India's state-owned Hindustan Aeronautics Limited (HAL) manufacturer has been given the final go-ahead by the Centre for Military Airworthiness and Certification, the regulatory body for certification and qualification of military aircraft and airborne systems, to manufacture the indigenously developed LCA Tejas Mk-1 warplane. A highly placed HAL official told Sputnik that the state-owned manufacturer will "soon" start production. 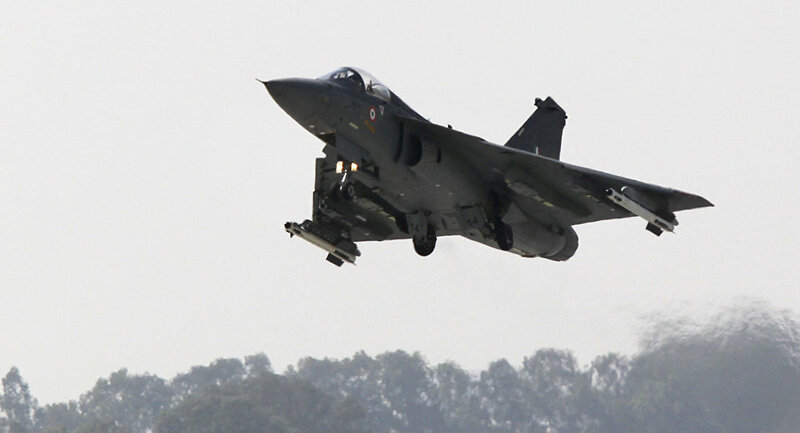 The Tejas MK-1 will be equipped with battle-ready capabilities, including mid-air refuelling, AESA radar, electronic warfare suites, and smart bombs, according to the official. "We have received final operational clearance (FOC) to produce Tejas and with this approval, work will immediately start on FoC version. Initially, we will produce it in limited number," the HAL official told Sputnik on the condition of anonymity, without specifying the initial quantity of production. Final Operations Clearance for the Tejas MK-1 was initially scheduled for December 2012 but was delayed due to various reasons, including hardware and software modifications, and limited hours of flight testing. The Indian Air Force (IAF) has ordered 20 initial operational configuration aircraft and 20 final operational configuration aircraft. HAL aims to manufacture 16 aircraft per year, up from the present capacity of eight. For this purpose, HAL is currently in the process of establishing a second manufacturing line to support structural and equipping activities. Currently, the IAF relies on a variety of Soviet-era and Russian aircraft, as well as some French Dassault Mirages and UK/France SEPECAT Jaguar warplanes.